Reinvigorated by the new Drukhari codex, here's what I've been working on this past week as I ease back into 40k. Starting with the top left are a few boxes of Crypt Flayers, aka the superior choice for building Grotesques. They are cheaper and look better than the official finecrap model. Mix in some Talos bits and voila! I've got six of these built already and looking to double that. I was a fan of the Grotesquerie formation back in 6th and I'm happy to see they are every bit as playable in 8th. Especially with the Master of Flesh, Urien Rakarth, nearby buffing +1 Toughness, +1 Strength, and +1 Leadership. 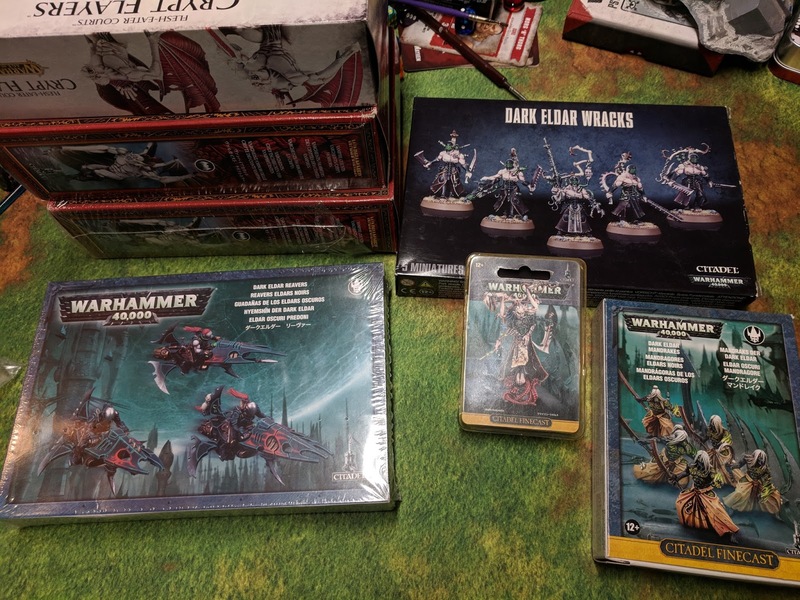 All for 90pts! Urien won't be dealing much damage directly himself, but he's a fantastic support character to build a Prophets of Flesh detachment around, which is where I started when I wrote my first army list down below. I also need to build those Wracks to have enough for the list, but thankfully it's the plastic kit so should go together quickly. 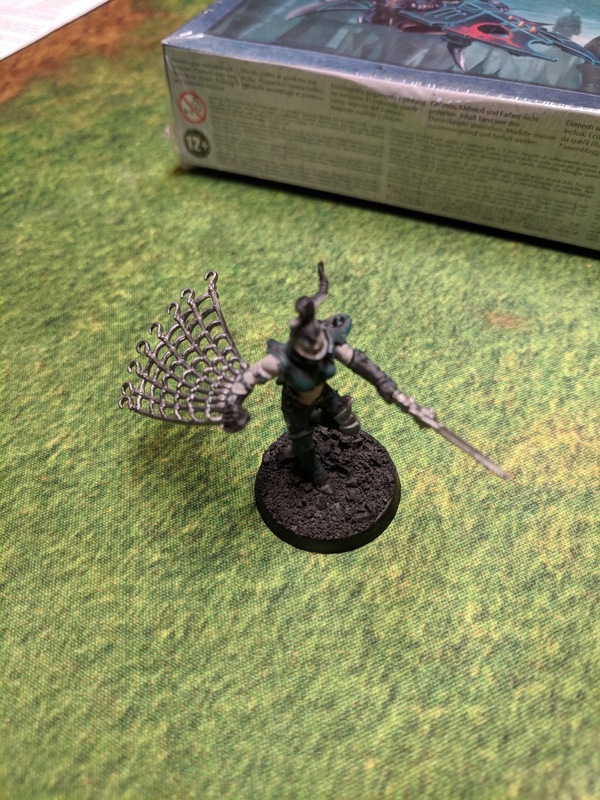 Mandrakes didn't make the first list, but I really like this unit and love the models. I'm going to power through this finecast box to bring my total unit size up to 10. 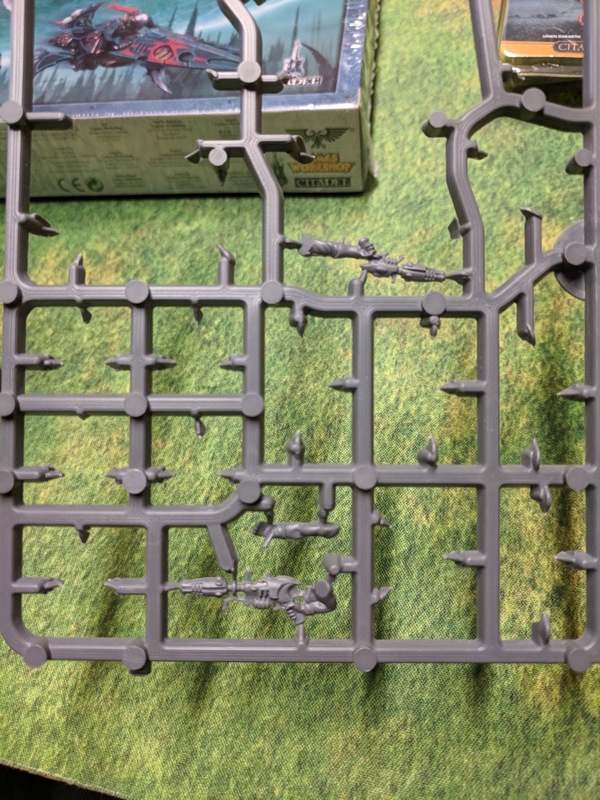 Their Baleblast is great and the volume of dice that a unit of 10 can dish out... you will definitely be able to deal some mortal wounds and then some. They can deepstrike, they have Power from Pain and an invulnerable save. And the best part, Shrouded From Sight: Subtract 1 from the hit rolls of attacks that target this unit. That's -1 to hit them with shooting AND close combat! 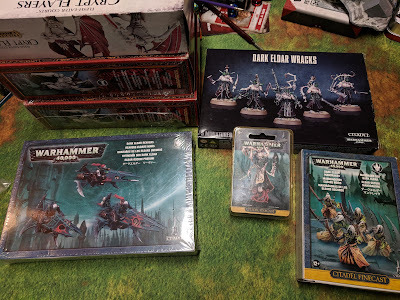 That last box of Reavers will bring my total up to 12. This is another absolute winner in the codex. They redefine what it means for a unit to be "fast" in 40k. With the Cult of the Red Grief Obsession, these are a guaranteed turn 1 assault unit! Also working on Wyches, getting those glorious Shardnet & Impaler bits out. No Escape will live up to its name with these in tow, tying up infantry units until the Grotesques smash in. Thank goodness you get so many extra bits in these Dark Eldar kits. Plenty of Blasters and Blast Pistols to go around! My first draft had a Razorwing Jetfighter with the Kabal, because this is an amazing unit that puts out a ton of damage. But when I finally decided to go Red Grief Cult, it would be silly to not have Reavers in there to take advantage of that. I don't think Heat Lances are the best load out here, this was a last minute points decision. In that same vein, the Talos loadouts and Venom blades on the Archons were points-conscience decisions, but I don't think these detract from their main purposes in the list. You'll also notice I took all the transports in the Coven detachment -- this is due to Prophets obsession granting them +1 Toughness when in range of either HQ. The Black Heart obsession is also worth considering for these since it grants vehicles a 6+ feel no pain, but I think T6 Raiders & Venoms may have a greater defensive impact over the course of the game. 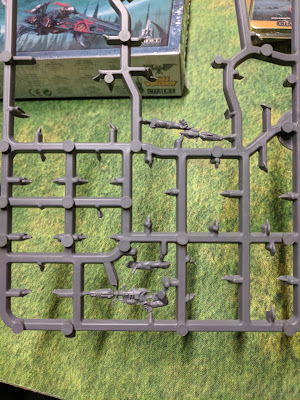 We are absolutely using Alliance of Agony and Prizes from the Dark City stratagems to buff up an HQ in each Battalion, and already at -4 Command Points. Then there's Webway Portal or Screaming Jets which I will absolutely leverage as well. So yeah, we spend a lot before the battle even begins. But the Prophets of Flesh warlord trait gets you a +D3 CPs, more than making up for spending 1CP on Alliance. So yeah, that's my first Drukhari army list with the new codex! Let me know what you think or if you have any questions about anything. I hope this is still a legal list as it was written before the new FAQ, which I wont be able to read until later tonight. 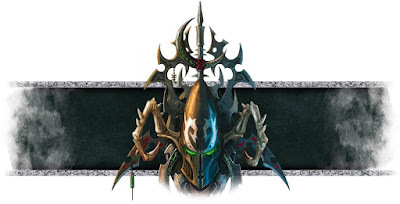 How have your Dark Eldar lists changed with the new codex, or new FAQ? What are you most excited about in this new era of 40k?